Last Sunday in Washington DC was cloudy with a bit of rain, so there weren't too many people out and about in the city. I circled around to the south west side and set up my tripod for this shot. 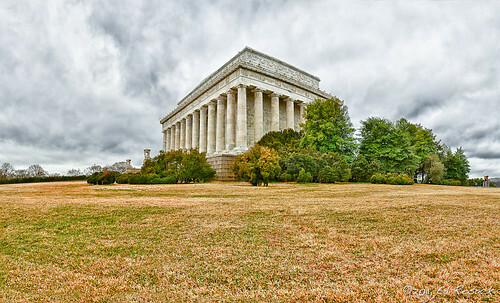 I think it's pretty rare that you get a chance to capture an image of the Lincoln Memorial without people in the photo.